Hillary Clinton running for president: Her diehard fans and loyalists have already started a Super PAC to get her to the White House in 2016. Inside the super PAC that’s already paving the way for the next Clinton White House. Former U.S. Secretary of State Hillary Clinton in January. Many are already preparing for her possible presidential run in 2016. It was the thrilling-est busywork of Adam Parkhomenko’s young life. 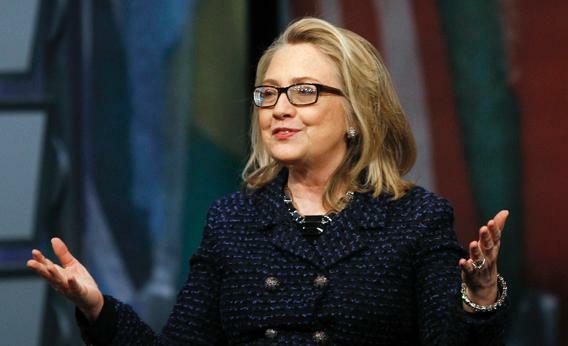 Hillary Clinton, still in the Senate, would meet some well-wisher. She’d grab his business card and deliver it to her Friends of Hillary PAC, specifically to Parkhomenko, with “three sentences of notes” about the possible ally/voter/donor. Talking about data entry makes Parkhomenko wistful. This summer will mark the 10th year of his campaign to elect President Hillary Clinton, a campaign that began when he was in high school. For four of those years, Clinton was secretary of state, barred from the grubby world of politics, Jefferson-Jackson dinners, and databases. The expert prepper lost precious time to prep. Enter the Ready for Hillary PAC, founded in January, ramping up its activities “in the next two weeks.” It’s a shadow campaign set up at least two years before Clinton will actually decide whether or not to run for president. It’ll raise money, sell merchandise, and build lists until the actual Clinton campaign bursts to life. And then it will change its name to “Ready PAC,” raise money, sell merchandise, and build lists, etc. There have been presidential draft campaigns long before they were caucuses or primaries or, obviously, PACs. But Clinton’s advantage is so deep and broad that the super PAC looks downright gaudy. By miles, she’s the most popular Democrat in America. In Iowa, whose anti–Iraq War caucus-goers hobbled her 2008 campaign, Clinton leads the field by at least 39 points. In New Hampshire she’s up by 50. In trial heats, in their own home states, she slaughters the strongest Republican candidates. So Democratic donors are holding out for Hillary. Mother Jones reporter Andrew Kroll has coined a term—the Hillary Clinton Cash Freeze—for the glacier of big money that Andrew Cuomo or Martin O’Malley can’t crack. There is no new Obama, a star who can hack away at the Democratic coalition and take black voters and college kids and people who marched against the Iraq War. The 2016 Democratic nomination process might be the most boring since 1932, when Franklin Roosevelt waltzed into the convention. Ready for Hillary is built to minimize the risk. In 2005, anyone who wanted to defend the Clinton brand (or anyone who wanted to be President Clinton’s ambassador to Barbados) could donate to her PAC. By 2007, they could donate to her campaign. Black and Parkhomenko promise something else—a group that’s both “grassroots” and able to raise endless money, protecting the brand from the inevitable scammers. Last week they brought on the 2008 campaign’s national finance director, Matt Felan. They’d previously locked in a donation from Ann Lewis, a Friends of Hillary veteran. If it works, it’s a friendly hack of the super PAC model. Born of the Roberts court’s campaign finance decisions, the super PAC was both perfected and self-parodied by the Republican campaigns of 2012. The model presidential super PAC was Restore Our Future, the nonsensically-named “Death Star” run by friends of Mitt Romney. The wealthiest donors cut seven-figure or eight-figure checks to the PAC, expecting them to dive-bomb Romney’s opponents with no tact or sympathy. It was easy to keep the PAC and the campaign separate, because it was so hard to find Republicans passionate about Mitt Romney. Black leans over the table—she wants to emphasize this. She gave the Clintons a $25.32 donation when she was in school and that was the sum of her spending money. She was at the Democratic National Committee meeting, protesting, when the Michigan and Florida delegates were assigned in a way that helped Obama. Some of her fellow travelers were so angry that they jumped to the McCain campaign, or fed the rumors that the “inadequate black man” was born in Kenya. Black kept faith. And she can’t even tell Clinton about it. It used to be so much easier. Grueling, sure, but with so much positive affirmation. Parkhomenko’s own Clinton crusade started when he coded VoteHillary.org. In the innocent Internet days of 2003, a one-page website draft campaign was enough to get steady attention from the Associated Press and the Washington Post. Parkhomenko marched to Iowa to schlep Hillary buttons outside the Jefferson-Jackson dinner. That was the work that got Parkhomenko into Friends of Hillary, then into the failed 2008 campaign, the failed VoteBoth campaign, his own failed campaign for Virginia delegate in 2009 (he became a police reservist instead), and now this. I sent that quote to Parkhomenko and asked whether he had been young and naive, or whether he’d be right. He quickly emailed me back.